In the record of payment to Rosso for his livelihood in November and December 1530 and from January through July 1531 (DOC.15) it is mentioned that “durant lequel temps il a faict un grant tableau pour le Roy.” The same document indicates that a frame for this painting (“bois et entretailleure d’icelluy tableau”) was carved by Francesco Scibec de Carpi, which was gilt (“façon dud. aornement de bois”) by Jehan Poulletier. Archangelle de Platte was paid to crate the picture and ship it to Fontainebleau. 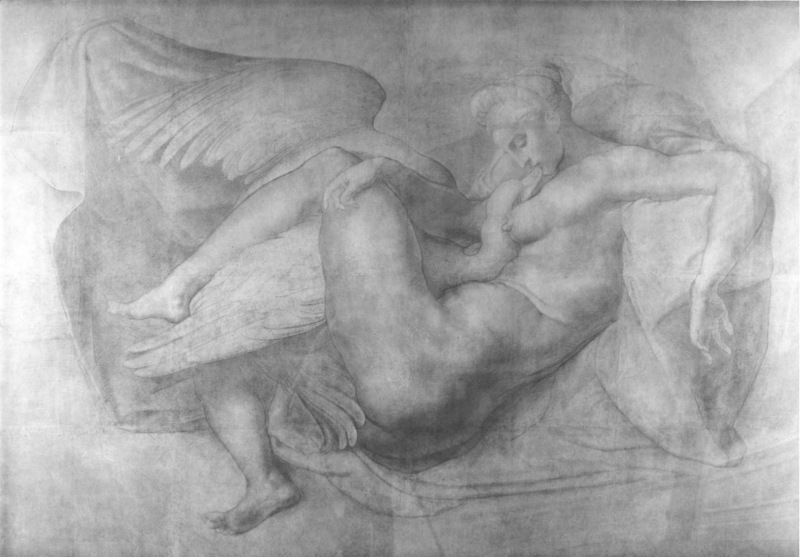 Roy believed that the picture mentioned in this document was a painted copy by Rosso of Michelangelo’s Leda but that painting and its cartoon did not arrive in France until early 1532, and although Rosso did make a copy of Michelangelo’s cartoon around 1538 (Fig.D.74a), there is no sure evidence that he executed a painting of this subject. Venturi, IX, 5, 1932, 196, mentions the documents related to Rosso’s lost picture as having been erroneously connected to a copy of Michelangelo’s Leda, which, he points out, had not yet arrived in France. Cox-Rearick, 1972, 35, believes it may have been a picture painted from Rosso’s Mars and Venus drawing. This is possible, especially as this drawing was specifically made for the king who, partly on the basis, apparently, of his pleasure with it, invited Rosso to France. But there is no evidence from the sixteenth century that Rosso executed such a painting. The one picture of this subject ascribed to him in the seventeenth century is referred to by Cassiano del Pozzo as “un quadretto” and by Dan as “en petit,” hardly, then, the “grant tableau” executed in 1530-1531. For the suggestion that the large painting may have been Rosso’s lost Judith known from Boyvin’s engraving, see E.7, L.35, and Carroll, 1987, 182, n. 7, under no. 59. It is possible that the frame for the “grant tableau” carved by Francesco Scibec was designed by Rosso; see L.38 for the frame Rosso designed for Michelangelo’s Leda. 1 Unchecked, from Roy, 1923 (1929, 125, n. 1).